A boiler exploded at the Darling Ingredients facility, injuring one worker and sending debris across the street. 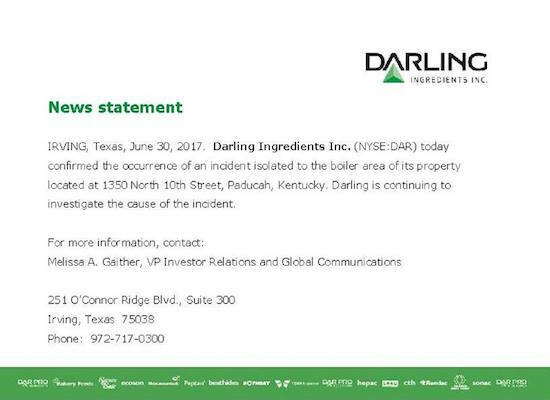 One worker sustained injuries after a boiler explosion at pet food maker, Darling Ingredients Inc. in Paducah, KY, Friday. As a result of the blast Atmos Energy capped the gas connection to the plant for safety precautions and work is underway to inspect the structural integrity of the damaged section of the building. 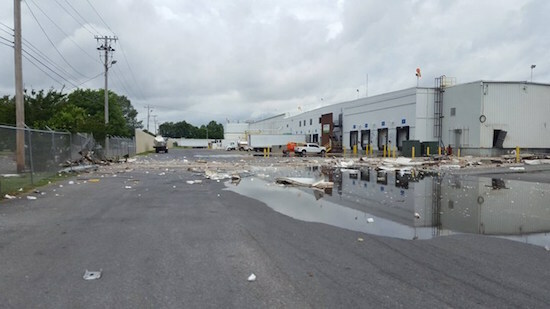 Seventeen employees and the plant manager were working at the plant at the time of the explosion, said Paducah Police public information officer Pam Spencer. Crews responded to the explosion at the pet food processing plant in western Kentucky. Spencer said a boiler exploded, injuring the one worker, though not seriously, and sending debris across the street. Last year, Darling Ingredients opened two new plants in Ravenna, NE and Paducah, KY, to produce premium-grade wet pet food ingredients. Darling Ingredients operates more than 200 locations on five continents and reports annual sales of approximately $4 billion. The company employs more than 10,000 people worldwide. Darling collects and transforms all aspects of animal by-product streams into broadly used and specialty ingredients, such as gelatin, edible fats, freed-grade fats, animal proteins and meals, plasma, pet food ingredients, organic fertilizers, yellow grease, fuel feedstocks, green energy, natural casings and hides. The company also recovers and converts used cooking oil and commercial bakery residuals into valuable feed and fuel ingredients. 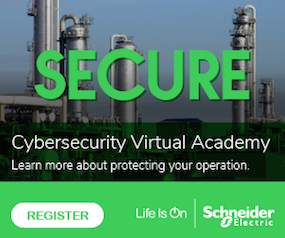 In addition, the company provides grease trap services to food service establishments, environmental services to food processors and sells restaurant cooking oil delivery and collection equipment.